Board of Intermediate and Secondary Education DG Khan matric class result is prepared and announces within three to four months after finishing of matric class annual exams. BISE DG Khan prepares DG Khan Board matric class result of the annual exams in limited time and the teachers of the government schools help the board in checking the papers and giving marks in the relevant subjects to prepare the result as soon as possible. BISE DG Khan Board 9th class result is announced in the last week of June and the DG Khan Board 10th class result is declared after few days of DG Khan Board matric part 1 class result. 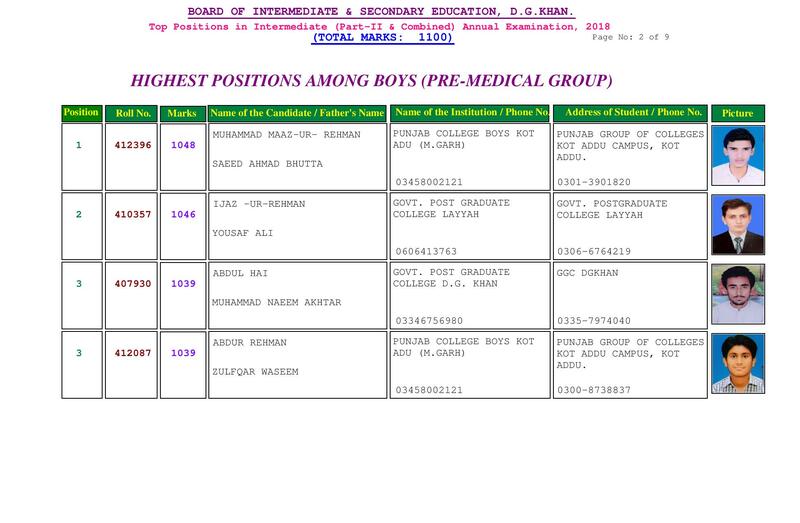 BISE DG Khan releases DG Khan Board SSC-I result and it added with detail of marks. 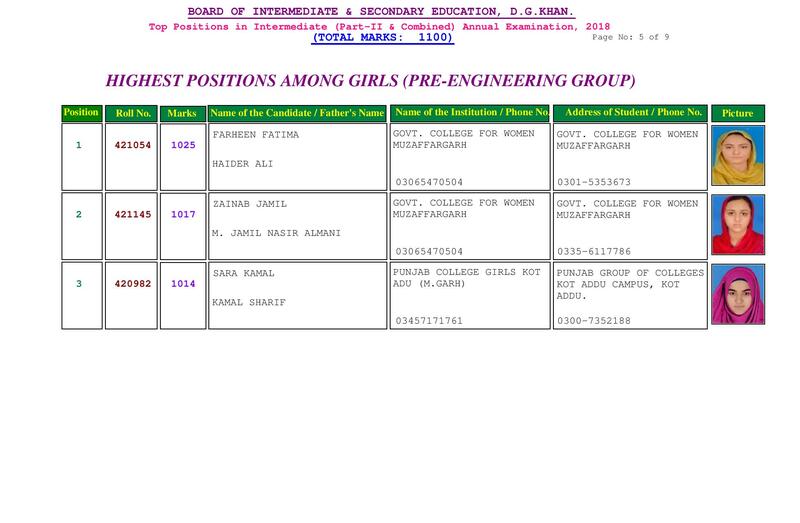 The students find DG Khan Board SSC-II result on the similar page and they can also check the marks in all relevant subjects. 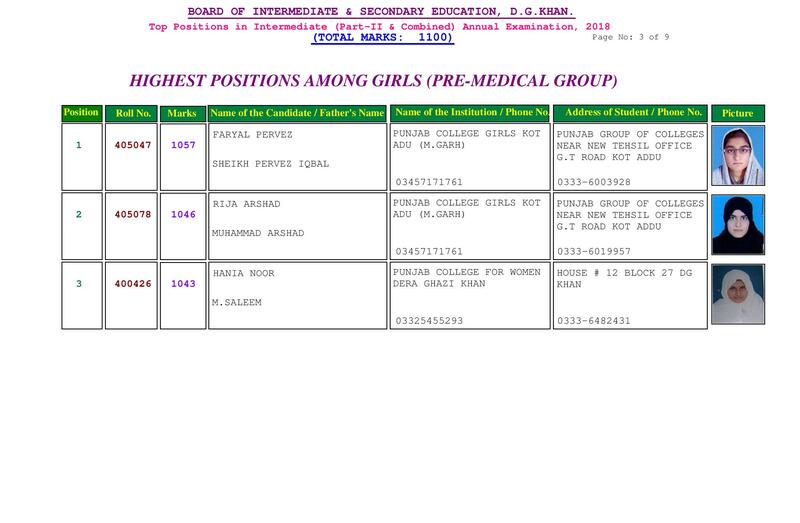 DG Khan Board matric-I class result is updated on this page after matric class result declaration. DG Khan Board SSC-II result is announced in the main auditorium of the board and the names of the position holder students are announced in the presence of teachers and students.